The LC Music Department Guest Artist Recital, “A Prayer of Clarinet and Piano,” provides an evening of inspiring and healing music performance by clarinetist Hana Kim and pianist Gina Nam in Sydnor Performance Hall, Schewel Hall at 7:30 p.m. Friday, Feb. 6. The program will include hymns as well as works by Mozart, Schubert and Paquito D’ Rivera. 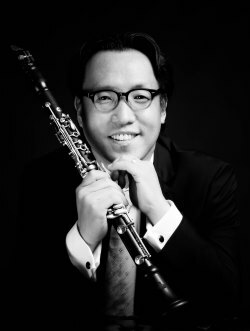 Hana Kim has earned high praise for his passionate and expressive musicianship and has established a reputation as a versatile clarinetist. He performs extensively throughout the United States, Europe, Japan, China and his native Korea. He plays with such distinguished organizations as Orpheus Chamber Orchestra, New York City Opera, Riverside Symphony, Jupiter Symphony, New World Symphony, KBS Symphony and the International Sejong Soloists and was invited as a fellow at Tanglewood Music Center and National Repertory Orchestra. Kim has also appeared in many prestigious concert halls including Konzert Haus in Berlin, Concertgebouw Hall in Amsterdam, Musikverein in Vienna, Ton Halle in Zurich, Carnegie Hall and Lincoln Center, the United Nations’ Dag Hammarskjold Auditorium, New York Korean Cultural Center, the Kennedy Center, Zipper Concert Hall and Sejong Cultural Center. He made his New York debut at Carnegie Weill Recital Hall as a winner of the Artists International Auditions and since then performed as recitalist in countless venues in the New York metropolitan area. Kim can be heard on “Creation with Branford Marsalis and Orpheus” released on Sony Classical and his first solo CD “Small still voice” will be available in spring 2015. Gina Nam is a versatile soloist, chamber musician and teacher. A native of Seoul, Korea, Nam has studied piano at Seoul National University where she was awarded a bachelor of music and master of music in piano performance. 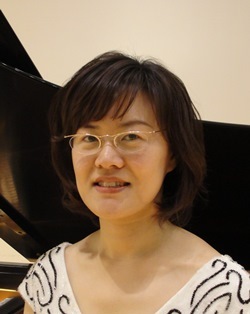 She holds a graduate performance diploma and doctor of musical arts in piano performance from Peabody Conservatory of Johns Hopkins University. Nam has given recitals at Buam Art Hall, Goodwin Hall, Cohen-Davidson Theater and Friedberg Hall. She has appeared in master classes with world famous pianists such as Leon Fleisher. As a devoted private teacher, she has taught students of all levels in northern Virginia since 2001. She is an accompanist in the Washington Soloist Ensemble and at the Korean Central Presbyterian Church.